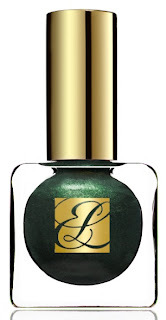 Estée Lauder and Creative Makeup Director Tom Pecheux have introduced new Pure Color Nail Lacquers ($20) in the Beyond Black and Metal Mania Collections, two mini-shade statements that evoke the seduction, beauty, and fantasy of the City of Lights at night. The dramatic palette of intriguing shades, textures, and finishes expresses confident style and attitude with unprecedented color and impact. 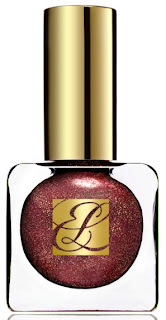 “When creating this collection,” said Pecheux, “I wanted to capture the intensity and naughty side of Paris when it truly comes alive…at night!” New Pure Color Nail Lacquer Beyond Black and Metal Mania Collections include smoldering and amplified hues that capture the raw energy and sexiness of the City of Lights under a dark Parisian sky. Beyond Black is defined by five deep shades that saturate nails in rich and dramatic color, capturing the allure of the Parisian femme fatale. Viper, shown immediately above, caught my eye immediately. The other shades are Caviar (silver grey), Bête Noire (dazzling purple), Blue Blood (deep dark blue), and Black Plum (as named). 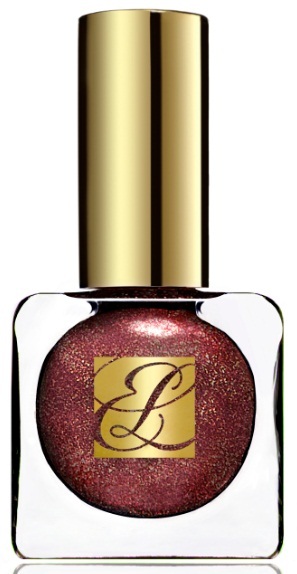 Metal Mania dresses nails in glam glitters for a modern metallic finish, enticing women to experiment - with daring effect. 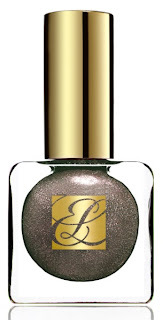 Chaos, shown immediately above, is a taupe-grey shade that appeals to me in any makeup. It is joined by Nouveau Riche (gold), Explosif (another gold, more copper), Smashed (purple), and Fiery Hot (an amazing red, shown below). These gorgeous nail collections have arrived at Estée Lauder counters nationwide, and they are available at Estée Lauder's Web site. I'm still trying to narrow my selection down to two - just two. Viper is a definite, but I cannot choose between Fiery Hot and Chaos, entirely different shades, but both are gorgeous. Help! I saw swatches of Fiery Hot on British Beauty Blogger and it looked great on her. Based on those swatches, I went to my Estee Lauder counter but they didn't have it yet. Thanks for reminding me to stop back in and see if they have it. Our NM received them about two weeks ago, so you ought to be able to find them. I purchased the color Smashed. These nail polishes are far superior to Chanel. They last longer (on me) and are very vibrant. You will not be disappionted. Enjoy!! The price is right too, Anon!